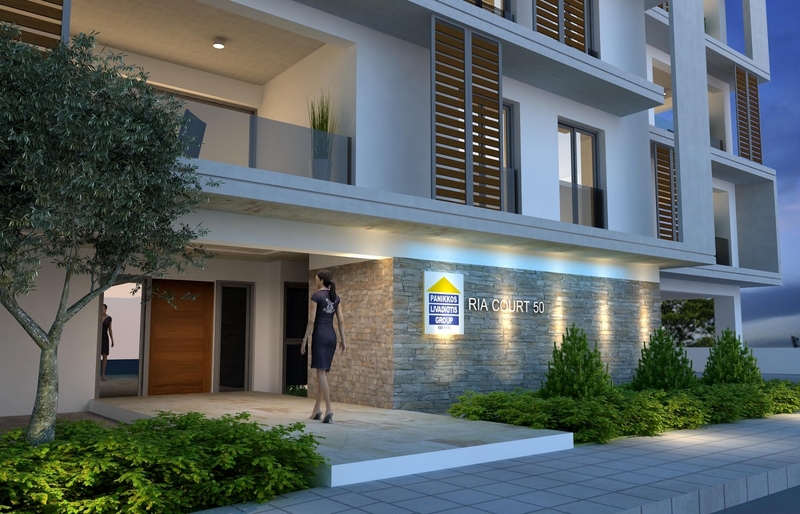 Livadiotis Group is proud to release R I A C O U R T F I F T Y in Larnaca, Cyprus. The crowning glory of this architectural gem is the location, the unparalleled views and the amazing sunsets. This Absolutely astounding site is located on an elevated plot of the Faneromeni Hill Neighborhood offering captivating unparalleled views of the ever changing vistas of the Salt Lake and Great Park of Pattichion as well as Sea and Hill Views. The brilliant contemporary design takes advantage of the location and prominent settings and South Orientation to ensure that virtually all units have breathtaking, unobstructed panoramas. Its South orientation also guarantees dramatic sunrises and sunsets falling naturally in the lake. The orientation also maximizes both the views of the Park, Lake and Sea as well as giving ample sunlight for all units. Inside, reside gracious suite layouts incorporating inspired interior design allowing residents to live life fully. 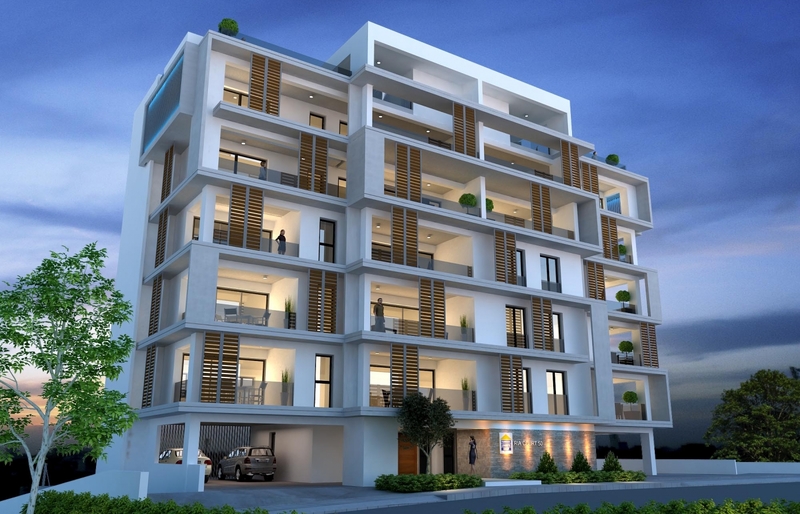 Ria Court 50 will be a contemporary jewel and the new benchmark in Larnaca for residential design. 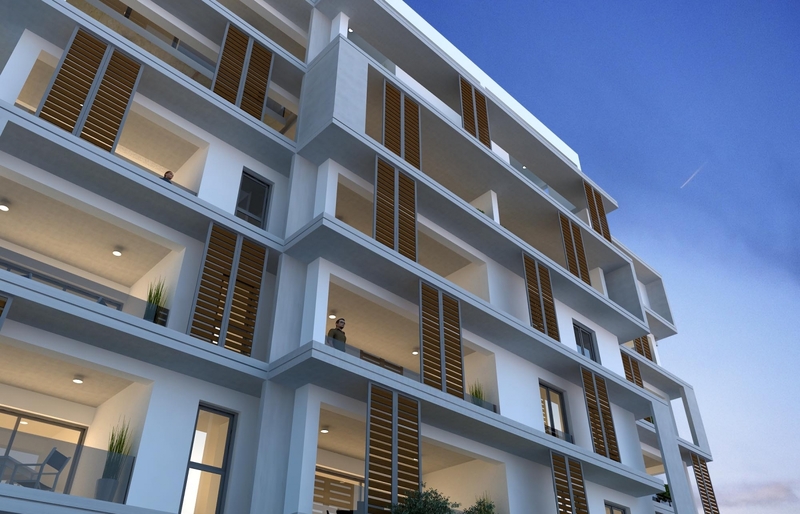 Ria Court 50 has been carefully designed by our architects, engineers and other consultants to maximize the living experience for its residents while standing as a beacon for Larnaca. 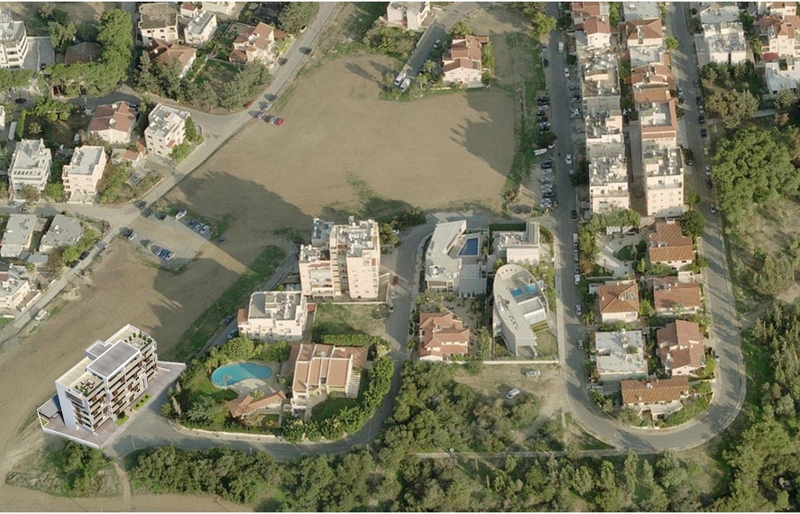 Mention its location to any resident of Larnaca City and the grandeur is instantly recognized. Residents of Ria Court 50 will become part of this celebrated history and enjoy its central location. 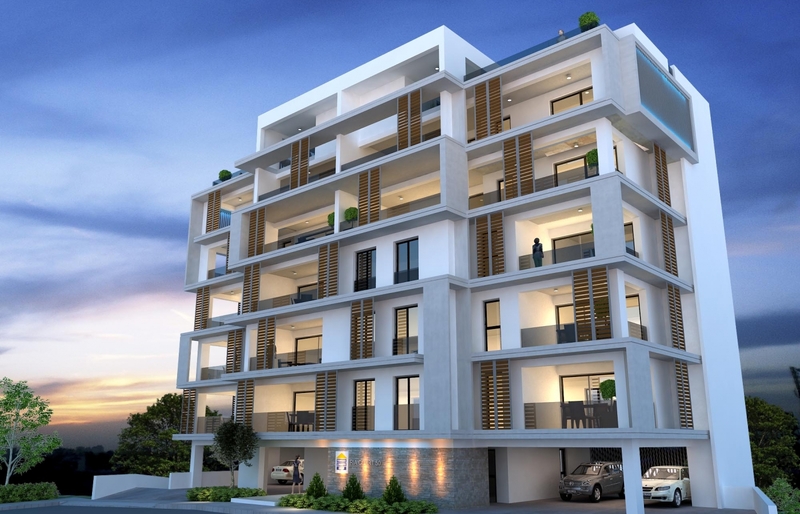 Living in Ria Court 50, means being minutes from practically all of the best Larnaca has to offer: Downtown, the shops and cafes of Phinicoudes, the Makenzie night life, the pedestrian paths of the Pattichion Park and Lake. This is one of those properties that very seldom come to the market. Indeed is a jewel in the stone and a very special place to call your own. There is no doubt if you miss this opportunity, it may be a long time until you see anything quite like this again, be quick, register your interest immediately. 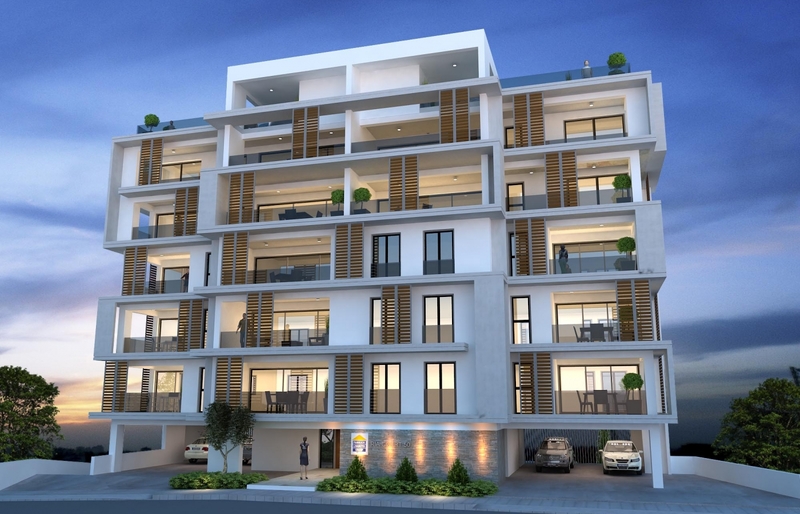 RIA COURT 50 DEFINATELY PRESENTS THE BEST RESIDENTIAL DOWNTOWN APARTMENTS THAT LARNACA HAS TO OFFER IN THE YEAR 2018. Framework: Earthquake resistant reinforced concrete, according to Euro Codes. Walls: Hollow clay bricks 280mm width externally and 100mm width internally. Internally three coats plastering and three coats emulsion paint and externally rendered in three coats and exterior Sandtex type paint. Doors (as per detailed drawings): Entrance door of solid wood, fire resistant at €500. Internal doors of wood oil painted or melamine finish at €235 per opening door and €295 per sliding door, and patio sliding externally of coloured double-glased aluminium. Windows (as per detailed drawings): Coloured double-glased aluminium. Kitchen Units (as per detailed drawings): Internally melamine finish with doors in wooden board, shop varnished or melamine finish. €175 per meter for kitchen lower cupboards and €145 per meter for kitchen upper cupboards Granite kitchen worktops in Kitchens of €120/m. Wardrobes: Internally melamine finishes with doors in wooden board shop varnished or melamine finish, for €155/m. Sanitary Fittings: First quality white colour. Allowance of €850 for each bathroom (including accessories). Additional allowance for kitchen sink and accessories of €250 per flat. For penthouses 501 and 502 purchase allowance of €1000 for each bathroom (including accessories). Additional allowance for kitchen sink and accessories of €350. Plumbing and Sanitary installation: According to European Standards. V.C. pipes for drainage and C.P.V.C. for cold water supply and insulated copper pipes for hot water supply. Water Supply: Solar panels to be installed at roof level. Water tank (1000 liters) and fresh water supply to kitchen sink. Pressurized hot and cold provisions. Electrical Installation: As per detailed drawings and according to E.A.C. Regulations. Air Conditioning - Heating: Pipe work provisions for future installation of AC split units to all bedrooms and living areas as well as storage heaters. Water Proof Insulation: Roof, Balconies and ground floor area will be insulated against dump. Thermal Insulation: Thermal Insulation according to latest Cyprus Building Authority Regulations. 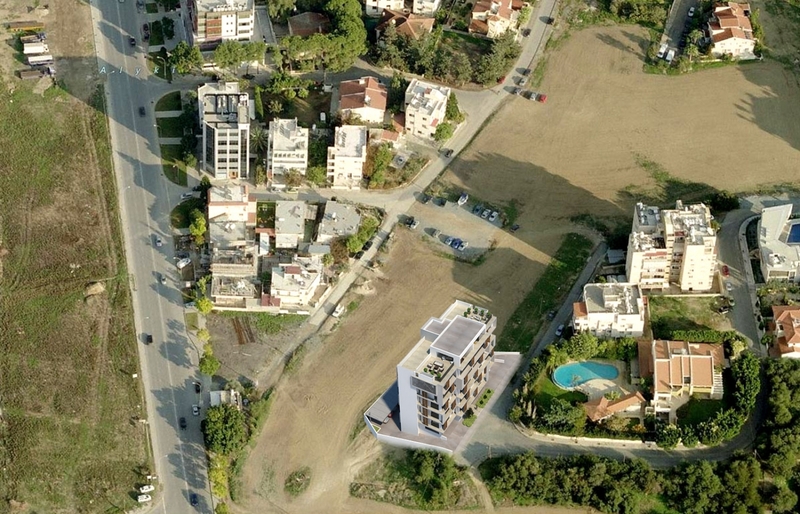 Parking and Storages: Parking space and storages provided for all units according to plans. External works: All external works including landscaping, fencing, parking spaces according to drawings and details plans. External works may vary according to planning authority request or for any other reason that the architects and/or engineers and/or vendor may choose due to technical or aesthetic reasons.